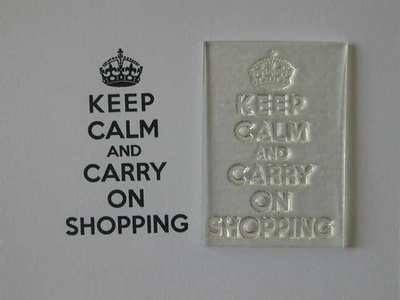 'Keep Calm and Carry On Shopping', a clear text stamp with a little crown for card making, ATCs and altered art. 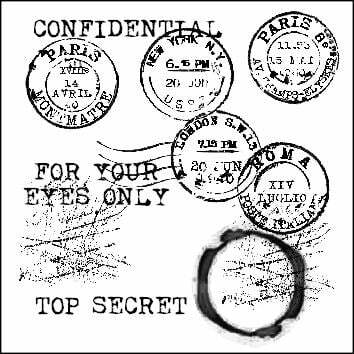 Stamped area: 1 1/4" x 1 7/8" - 3.2cm x 4.8cm. See how to use an acrylic block with these stamps.